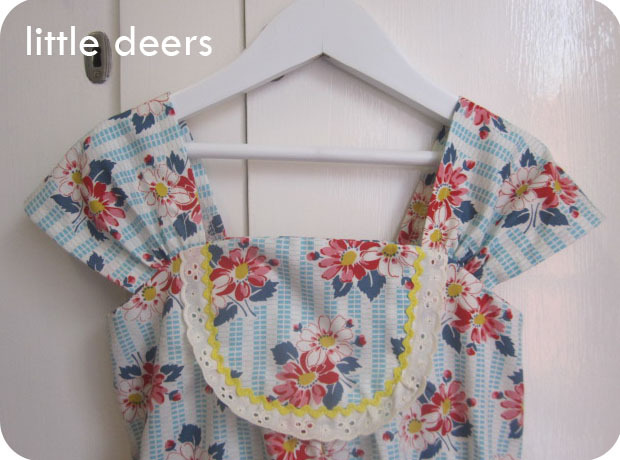 I finally got around to making the third of my little deers spring dresses. This one is also made with a gorgeous cotton print by Denyse Schmidt - I am calling this print 'cottage garden' (as no name was given on selvage). 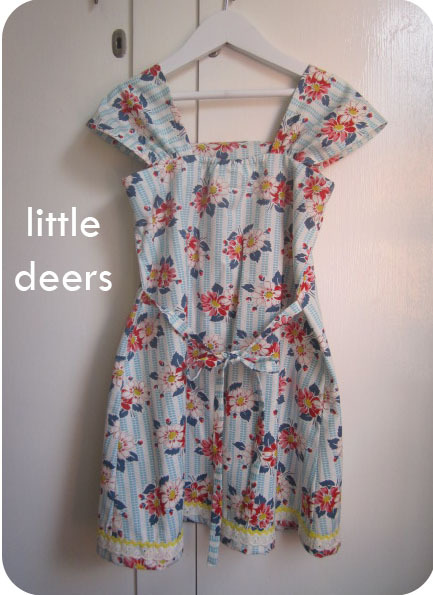 I made this one up in a size 4 for my little niece for christmas - hence no pics of it being worn. I have also just wrapped up my first order from the dress selection and it is ready to post and with another order in the cutting stages, I realised last night that five little girls will be wearing these dresses on christmas day - what a sweet thought. 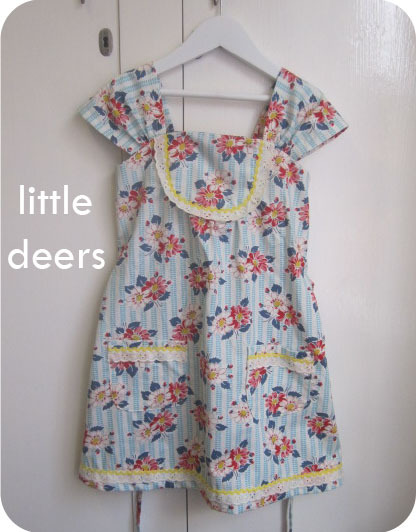 You can buy the 'cottage garden' little deers dress here! 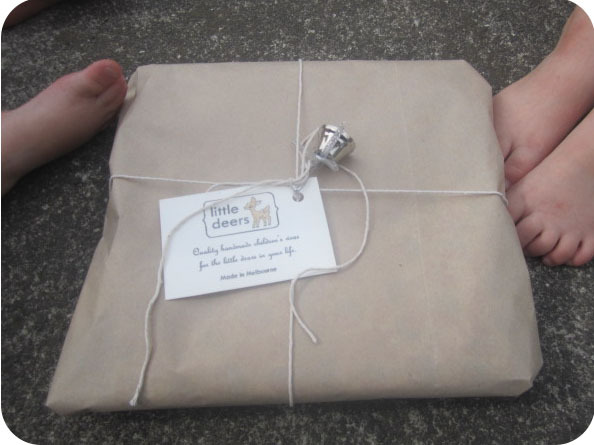 Also sharing today over at Kootoyoo - full of crafty goodness.